Radiant your Skin Care with the [heimish] Low pH Hydrating Mask Sheet 27ml (5ea)! we aim to provide you best korean products to take good care of your skin, including Cosmetics, Skincare, Mask Sheet. Hydra Mask Sheet online. 1. 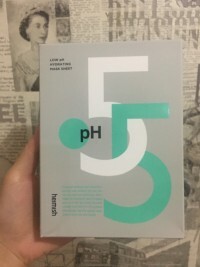 Strong Moisture Solution, Skin Immunity Shield Mask: Contains slightly acidic pH 5.5 without irritation & 20% of strong moisturizing content. 2. Ultrafine Microfiber Sheet Moisture Synergy Care: Perfect adherence of soft touch & enhance absorption of essence. 3. Skin Condition Recovery Program: Skin Soothing & Soothing Care & Strong Moisture Protection. 1. After cleansing, soak a cotton pad with a toner and gently wipe it off along with the texture of the skin. 2. Open the pouch and take out the mask sheet. Attach the other side of the film to your face. Make sure that there is no flicker, then remove the film. 3. Take a break for 10 to 20 minutes and remove the sheet. Tap the remaining essence to make it absorb to skin.